There are a number of affordable, quality drug store face moisturizers for oily skin. It is important to use the proper moisturizer according to skin type, to keep skin healthy, moisturized and blemish-free. Face lotions that are non-comedogenic -- meaning they will not clog pores -- that are oil-free are recommended choices for oily skin. A moisturizer that includes sun protection is also an important feature in a daytime lotion for any complexion. Daily washing depletes skin of natural oils, even if you have oily skin. It is important not to wash skin excessively, as that may lead to excessive oil production; a balance is necessary to keep skin healthy. A moisturizer that is designed for oily skin will replenish natural oils in skin while preventing skin from becoming oily or breaking out. Make sure the lotion is labeled "water-based." A lightweight lotion is preferable to a heavy or thick lotion for oily skin, as it is less likely to clog pores. 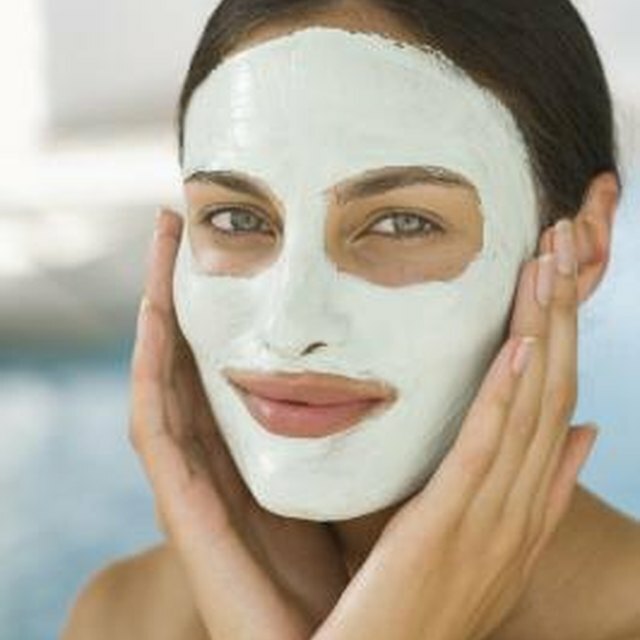 Look for ingredients that trap and help skin to absorb water. Glycerin, panthenol, lactic acid and hyaluronic acid all do this and are good for oily skin. Pure aloe vera gel or a moisturizer that contains aloe is another alternative. Aloe is gentle on skin and also attracts water to skin. Morning Burst Morning Glow Moisturizer by Clean & Clear is recommended by Marie Claire UK as a top moisturizer. This lightweight face cream contains tiny light reflectors that will brighten complexion. It does contain a citrus fragrance, so it may not be ideal for those with sensitive skin. InStyle lauds Burt's Bees Sensitive Daily Moisturizing Cream as a "best beauty buy." It is safe for oily and acne-prone skin and contains rice extract which moisturizes skin. Almay Daily Moisturizer for Oily Skin is recommended by Real Simple. This lotion contains vitamins A, C and E, which help to hydrate skin while keeping oil under control, and it is hypoallergenic. Allure gave Olay Professional Pro-X Clear UV Moisturizer the "Best of Beauty 2012" award. It contains the active ingredient homosalate, which promotes fast absorption. However, benzyl alcohol and methylparaben may cause an allergic reaction in those sensitive to these ingredients.